At the address position make sure the weight of your body is favouring the left side to a ratio of 60/40, which will enable you to create a descending angle into the ball in the downswing. 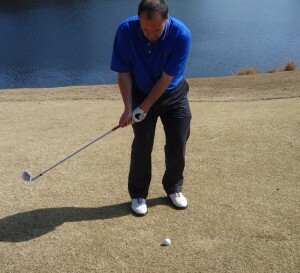 Looking down the hands should be positioned ahead of the ball, with the shaft of the club leaning slightly left towards the target. Its important to maintain this angle both in the backswing and particularly in the downswing as your hands lead the club back down to the ball, trusting the loft of your club to get the ball airborne. Make sure the proper hand position is maintained throughout the swing. Finally a thought about the pace of your swing when playing this shot. Try to keep the pace in the downswing the same as it was in the backswing. Do not decelerate at impact as this can lead to all types of poor shots, including catching the turf before the ball or thinning the ball along the ground. Hopefully these 3 key points will help make your pitch shots more consistent and please note on just how important the set-up is to be able to execute the pitch shot correctly. However if confidence is still lacking in pitching the ball up in the air and if you have a clear path to the green then you could consider playing a chip and run shot which requires a much shorter swing. Try to visualise the shot in your mind, a good rule is to look to carry the ball a third of the way to the hole and let it roll the remaining two-thirds to the hole. 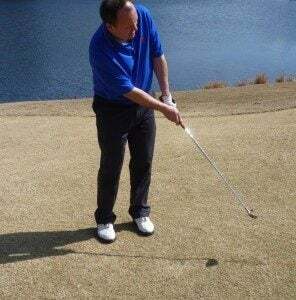 Using a 6,7 or 8 iron, make sure the stance is narrow with the ball positioned towards the back of the stance and the weight of the body leaning slightly to the left and your arms hanging down from your shoulders. Adopt the stroke you would use with a putter, take the club back with the stroke being controlled by your shoulders and arms. 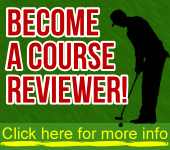 Make sure the wrists stay firm during the shot and the hands stay ahead of the clubface. 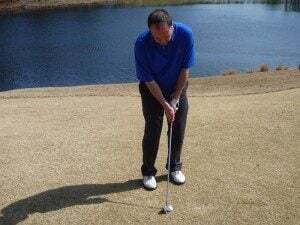 One final thought, when practicing your short game don’t always put the ball on a perfect lie because when playing on the golf course especially during the winter months the ball can often run into a poor lie. Your confidence will improve immensely out on the course if you practice short game shots from poor lies around the green.